DJ's Book Corner: Dishin' It Up with @Ingrid_Seymour, author of Keeper + #GIVEAWAY! 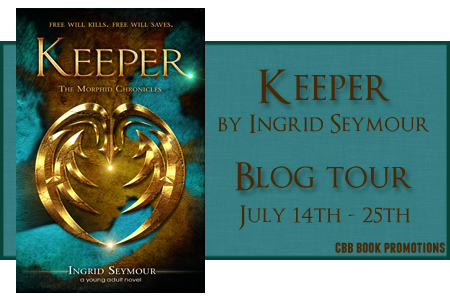 Dishin' It Up with @Ingrid_Seymour, author of Keeper + #GIVEAWAY! Compose a tweet (140 characters or less) hyping us up about The Morphid Chronicles. Two teens are about to undergo a metamorphosis that will change them forever. They’ll become beautiful, but will also lose their free will! Sum Greg and Samantha, the series MCs, up in three words. If Keeper were a movie, what would be the perfect first song on the soundtrack? 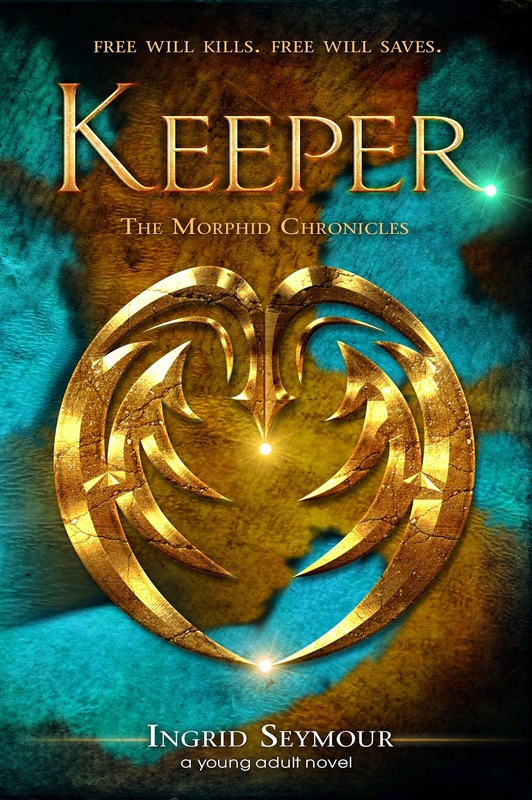 So is the Morphid Chronicles actually a series, or is it just Keeper published as a serial novel? A series. There are two more books coming! Can’t wait to have them out. “Your book really made me think” ~ I always like to explore themes and philosophical sort of things in my books. If a reader catches on to that and finds herself thinking of topics beyond the book, I feel I’ve done a good job. Ingrid Seymour loves, loves, loves to write. She’s a young and new adult author. 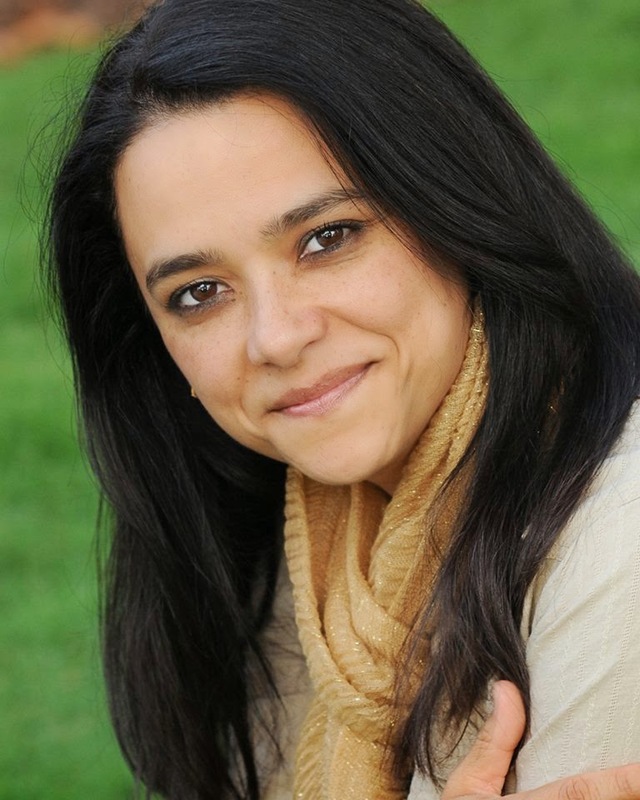 She writes in a variety of genres including romance, urban fantasy, paranormal and horror. She loves pizza and sushi, Sunkist and gum. She believes in vampires, witches, but not zombies (uh-uh, never!) She writes to loud music, daydreams constantly and spends too much time in twitter!! Find her there? Ingrid has incredible fun doing what she does, but more than anything she enjoys hearing from her readers. It’s a dream come true. For them, free will is a luxury . . .
Greg Papilio both wants and dreads his impending metamorphosis. He's tired of being an ugly runt--always picked last on the basketball court--when he could be strong and what girls call "drop dead gorgeous." But as much as he looks forward to the transformation, he also fears the caste it will inevitably assign to him. He doesn't want a common caste. He wants a powerful one, a cool one. Samantha Gibson is average. She's short and a little full around the hips--a terribly cute look for a future chef. She's two years away from culinary school, from her uncaring parents, and from carving a perfectly Human future. She wants independence, a career and a quiet life of her own. Except fate couldn't care less about what Greg and Samantha want and gives them exactly the opposite. Greg's metamorphosis assigns him a caste that enslaves him, while Samantha's chance to attend Le Cordon Bleu is taken away. But things are never as interesting as when Ashby--an intriguing blonde with a hidden identity--enters her life with a splash. Greg's fate is to be Samantha's Keeper, to protect her at a time when someone wants her dead. He will stop at nothing to ensure her safety, even if her secret past proves deadly, even if he's keeping her safe for someone else. Grab Keeper Vol. One (first part of the story) for .99 cents on Amazon! Thanks so much for hosting a tour stop and for asking such FUN questions!